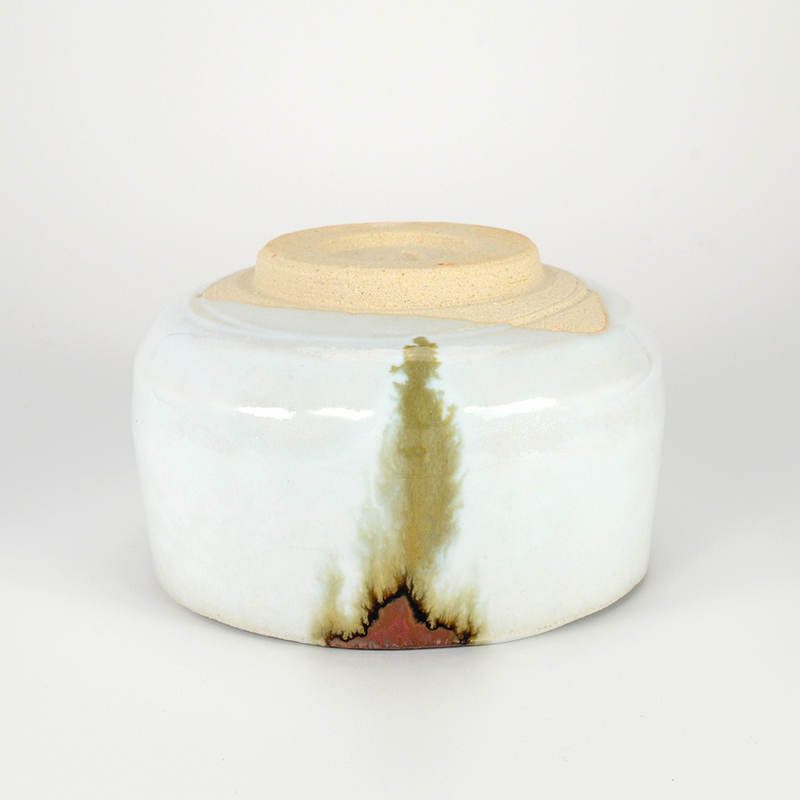 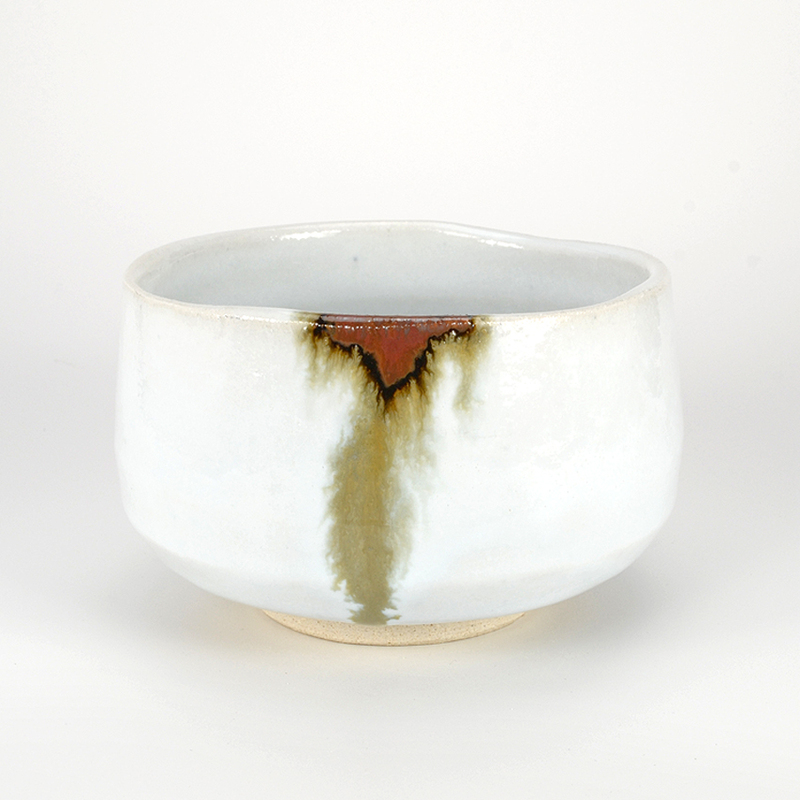 This lovely chawan is especially beautiful once the matcha has been whisked and the foam has risen up the side of the interior, contrasting with the strong white background field and dramatic color drip on the exterior of the bowl. 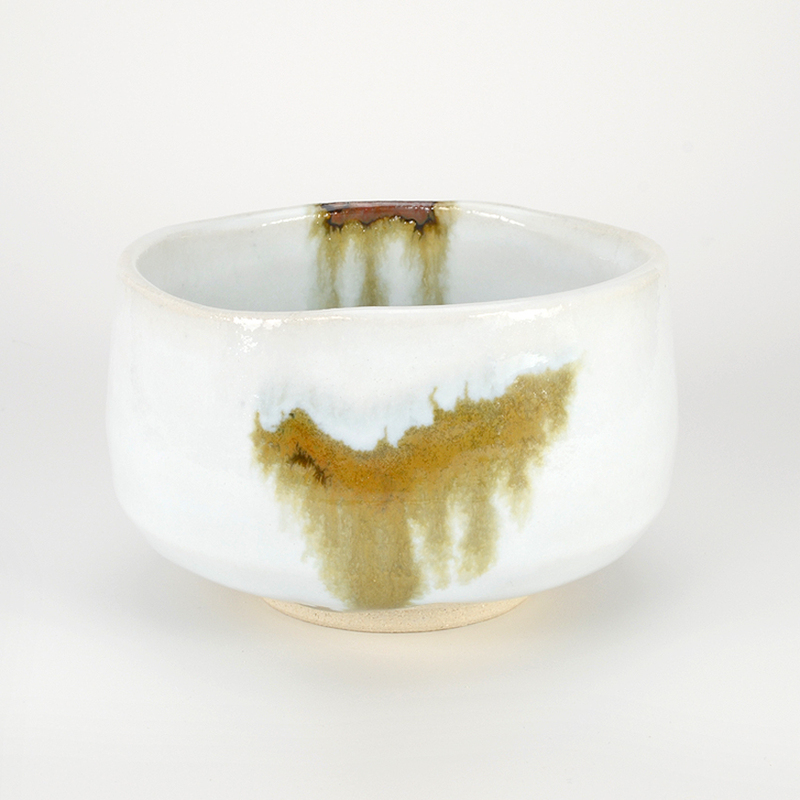 A classic presentation in which the drip is considered the ‘face’ of the bowl and is traditionally shown to the other guests with whom you are drinking your tea, when alone you can certainly drink from this bowl with its ‘face’ facing you! 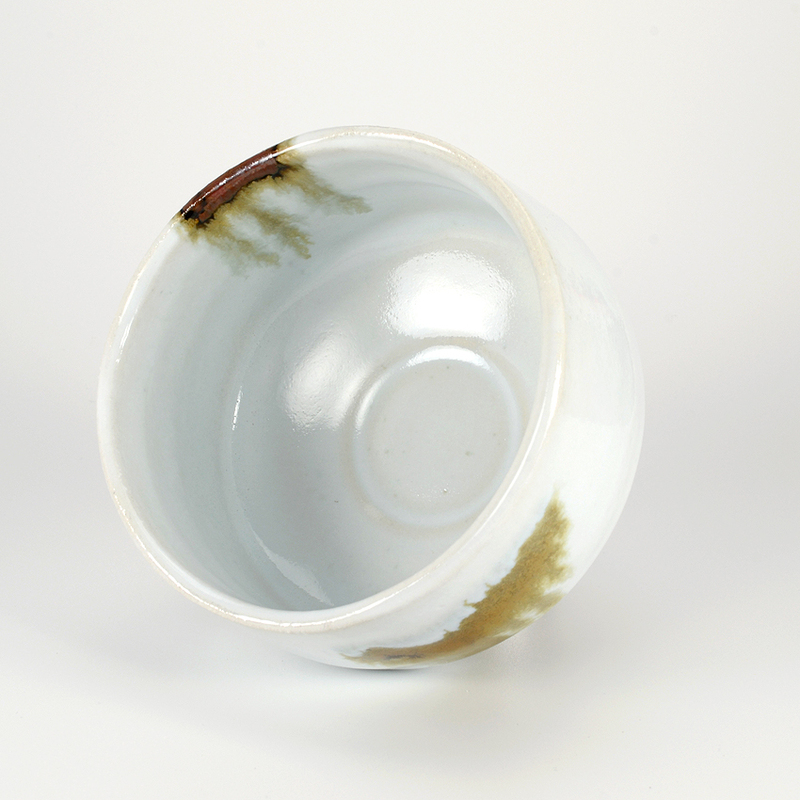 Given that both rice and tea are very important in the agricultural cycle of Japan, the motif of this chawan is very auspicious and will bring the tea drinker much happiness.